$7.99 per pair List: $12.50, You Save: $4.51! Pro-mark's Splatter Black Stick Rapp is a non-sticky tape that is easy to apply and gives you a soft, comfortable, non-slip grip. This looks as great as it feels and can wrap 4 sticks total. I've has the same tape on my concert IP sticks for 3 years and havent had to change or readjust once! I have taken it off a few times to temporarily put it on other sticks, and each time It comes off clean and sticks back on percect! 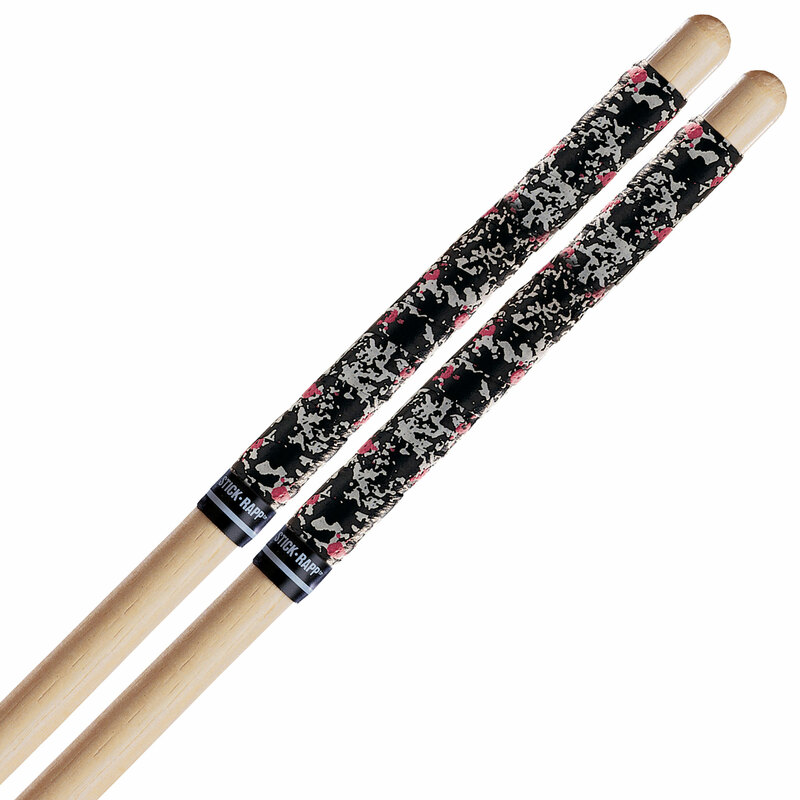 I also recently put them on my Vega Marching Tenor Sticks. And even though those have gone through quite a beating, the sticks will break before the tape falls off. Highly Recomended!